You never know who you'll meet on the wine road, it was just last month that I met Bill Frick for the first time. It's funny how I don't pick the places I'll end up going, it's all in destiny's hands. I'm not sure he knew what to make of me, as I peppered him with questions about his winery and his exclusive use of American Oak. 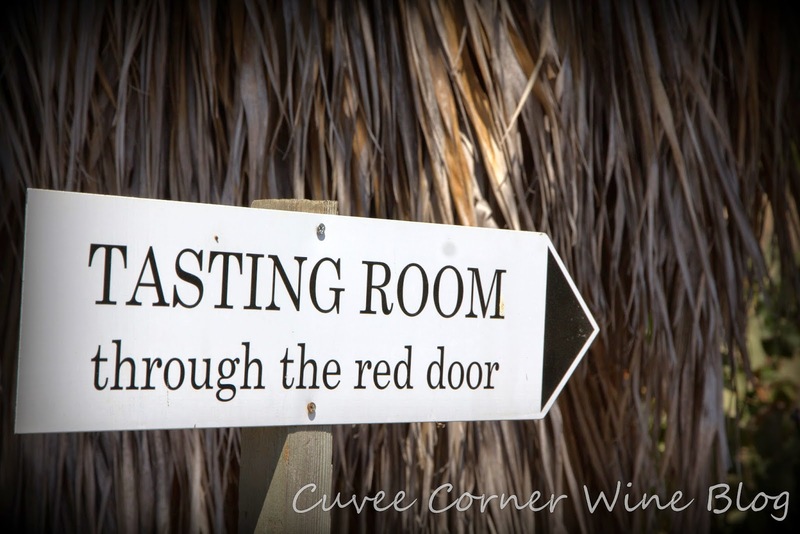 But after taking the nickel tour, seeing his operation, crush-pad and combination barrel room, we moseyed over to the tasting room to pop some corks, and that is where the fun, got started. I'm pretty sure I tasted every label he had, we even agreed a few needed to be tossed, bottles that were opened already, that had quietly expired, with only a recently pulled cork holding back the oxygen. That said, it was a great pleasure getting to know Mr. Frick, who was not as forthcoming as I would have hoped. But after tasting through a couple wines, and allowing a few, 'wows' loose, we starting to chat about his wine and the approach he takes to winemaking, as a one-man band. If I had to sum it up all in one sentence, his methods are simple and timeless, no fooling around, take care of the vineyards, and just allow the grapes to speak for themselves, in each and every vintage. I like that approach, and I believe I can see it, smell it and taste it in every wine I sample and spit out. When wine is made like that, I just know it. Like a bloodhound on the scent of an escaped convict, I can pick a winner out of any group of wines; which is why I knew just a few minutes into to tasting Frick's wines I was in for a good tasting. Bill Frick is not about "winning" [Charlie Sheen style] or big wine scores, he just feels fortunate to be making wine and living the wine country lifestyle. As for me, I'm all about picking winners and bringing them to the attention of my readers, because when it comes to wine, I want everyone to drink well and prosper. You'll see this sign above pointing the way to the tasting room, once you exit your vehicle in the dirt parking lot, where you'll see some ancient Garibaldi vines waiting to greet you. One of the exciting aspects of Frick's tasting room is that the tasting is free of charge, not a common practice in today's wine culture. If you plan to show up with a caravan of vino sapiens [more than six] or in a stretch limo of howling [twenty somethings] hens, this not the place for you. But as their website explains, Frick has a tiny tasting room [which I can vouch for], and they are glad to welcome groups of up to six at a time, and appointments are not offered, so please be sure to visit during the posted tasting room hours. You'll be so happy you did. 2012 Frick Viognier: In the picture, you can see the year, you can also see the 14.9% abv, which is pretty heady for any white wine. A bouquet of floral aromas jumps from the glass, honey, and bourbon like perfume scenting the air above the glass. On the palate, it's fat and round, white flowers, crisp pear, decent acid and a long sensuous finish. My score 86 points. 2012 Frick Grenache Blanc: On the nose plenty of fun floral notes and a drop of honey. It's a medium-bodied wine, with a mouth-filling profile on the palate. Rich, textured and with plenty of fruit, yet it manages to stay clean and light on the palate and is a downright fun wine to sample. My score 88 points. 2012 Dry Rose Mourvedre: Dried rose petals, peach pits, plum skins, strawberries, the flesh of almost ripe plum, vivid minerality, and a layered, long, dry finish. My Score: 87 points. 2010 CÔTE-DU-Dry Creek: A delicious red blend composed of Syrah 40%, Grenache 40% Cinsault 20%. I do love that name, I thought it was reminiscent of the Southern Rhone. I asked him if he registered that name and said, "yep, sure did" I told him, "that's a smart move" and he shrugged his shoulders, like "duh" of course. I told him he should sell it, so more folks could use it to sell Syrah to the unsuspecting masses. There are some folks, who for some reason don't like the name of the grape, but once it's in their mouths, they want more of it. Now that said, this wine is very good, well balanced and brimming with ripe fruit, blackberries, dark cherries, tobacco, vanilla, cracked black pepper, licorice and pleasant floral aromas. Nicely textured slides across the palate like a gunboat on the Hudson. Don't let the high ABV scare you away, you barely even notice the minor heat. I think all the red wines sell for the same price, SRP $26. I gave this wine a score of 90 points, it's a keeper, enjoy. Until next time folks remember life is short, so skip the same old commodity wines and you wine bloggers out there, feel free to skip a few helpings from the sample train now and then, sip long and prosper all cheers!